SEOUL — The South Korean military has decided to buy ship-based SM-3 interceptors to thwart potential ballistic missile attacks from North Korea, a top commander of the Joint Chiefs of Staff revealed Oct. 12. “The decision was made actually during a top JCS meeting in September last year,” said Maj. Gen. Kim Sun-ho, the head of Joint Chiefs of Staff’s force buildup planning bureau, in response to a lawmaker’s question about the SM-3 missile procurement. 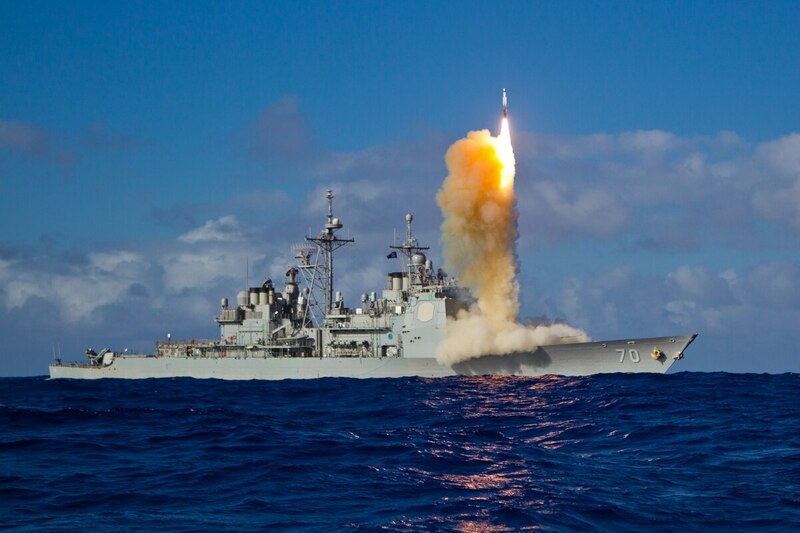 KAMD refers to the Korea Air and Missile Defense network designed to take down low-flying missiles in the terminal phase. For lower-altitude interceptions, American-built Patriot missiles and locally developed medium-range surface-to-air missiles, dubbed M-SAM, have been deployed in the field. South Korea's arms procurement agency didn’t issue a news release on the contract, an apparent move not to harm the warming atmosphere for dialogue with the nuclear-armed North. To augment the low-tier, terminal-phase missile defense shield, the U.S. Army’s Terminal High Altitude Area Defense system was deployed last year in the southern part of the country. The SM-3 is designed to destroy short- to intermediate-range ballistic missiles. The hit-to-kill missile is known to be capable of shooting down targets at altitudes of 150 to 500 kilometers, while its newest variant, the SM-3 IIA, can hit targets at an altitude of up to 1,000 kilometers. The SM-3 interceptor’s “kill vehicle” hits threats with the force of a 10-ton truck traveling 600 mph, according to manufacturer Raytheon. The South Korean military believes SM-3 interceptors will be effective against an electromagnetic pulse attack originating from a high altitude. The timetable for adopting the SM-3 has not been laid out, according to the JCS. In the meantime, a preliminary study on the procurement of SM-class interceptors is underway. The JCS also disclosed its plan to develop its own defensive system to counter threats from North Korea’s long-range artillery deployed along the Demilitarized Zone. The system is modeled after Israel’s Iron Dome air defense system, the JCS said in a report to the National Assembly. As a means of destroying North Korea’s artillery systems, the South Korean Army will soon deploy an up-to-date short-range ballistic missile system known as the Korea Tactical Surface-to-Surface Missile. The missile that the system launches, dubbed “artillery killer,” has a range of more than 120 kilometers and can hit targets with a 2-meter accuracy, according to JCS officials. The system can simultaneously launch four missiles from a fixed launch pad, and the missiles can penetrate bunkers and hardened, dug-in targets several meters underground. According to the 2016 Defense White Paper, North Korea has some 8,600 towed and self-propelled artillery, as well as 5,500 multiple-launch rockets; 70 percent were reportedly deployed near the border. North Korea has 340 forward-deployed long-range guns that can fire 15,000 rounds per hour at Seoul and the surrounding metropolitan area.